Taking the time to teach your child important life skills know helps them to be more independent in adulthood. We all put a lot of focus on developing critical learning skills early on, but sometimes that push leaves behind important life skills that are crucial to surviving and thriving as an adult. Here are 5 critical areas for strengthening life skills in your child to prepare them for the future. Dollars and cents are still used to pay for things in the store, but understanding credit cards and debit cards is becoming a much more important skill. Give your child a debit card linked to your bank account with a separate pin and small amount of money in the account ($5 or $10). When you make small purchases like an ice cream cone or if they want to save up for a toy, let them take care of the transaction. 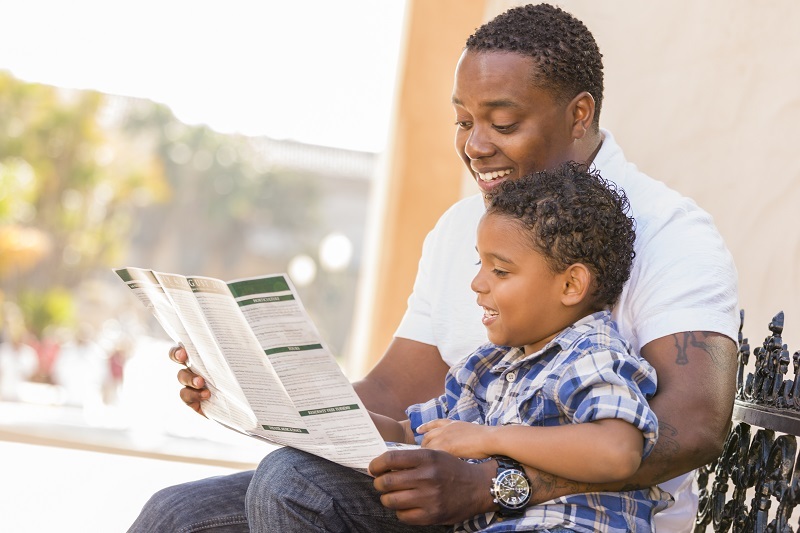 Financial planning one of the most important life skills your child can learn. Managing time is important for the workplace and classroom. Teach your child a set routine for their morning activities (toilet, flush, wash, teeth, shoes, socks, etc.) and introduce a little friendly competition if they need help speeding up the process. For example, when they are pulling on their socks and shoes and not wanting to leave the house, offer to race them to the car. Your child’ desire to compete and win will almost always win out over wanting to stay home. Social skills are, again, important in the classroom, workplace, and greater world. Help your child learn how to observe and interact with other children. Watching tapes of other children interacting can help them learn how to interact properly and try out the process themselves. It can be tempting to help your child put two and two together all the time or prompt them, but take a back seat more regularly and let them develop intellectual curiosity. Ask them what they would like to try or ask open-ended questions to encourage thought. This last life skill can be difficult for teenagers and adults to develop, but those who can grasp it as children have much smoother sailing ahead. Let your child learn how to manage decisions with different options, each carrying their own risks and rewards. This tool will help build new neural pathways and assist them throughout life. This entry was posted on Friday, March 24th, 2017	at 1:22 pm	. You can follow any responses to this entry through the RSS 2.0 feed. Both comments and pings are currently closed.